Club Ausome is a group for children with additional needs, based in Medway. They are currently looking to recruit a fun, energetic person that has the confidence to lead a group of children in Dance , Drama and singing. Singing – teaching the children the joy of singing, building confidence. It is a self employed role – rate of pay can be discussed at interview. If you are interested please send Kellie an email via kmilano35@gmail.com detailing your experience with children. 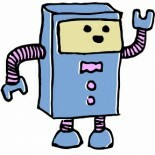 This entry was posted on 24/01/2019 by Creatabot in Creative / Artist Wanted, Creative Opportunities.